Sharpie. Or maybe Bic ballpoint pen. 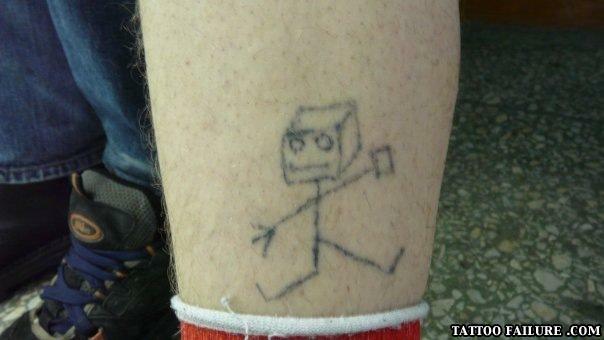 I believe this to be a picture a child drew that meant something to whomever got the tattoo. I do not think it was supposed to be an accurate likeness of Steve? from minecraft.